You came in like a lamb and left like the dog days of July. I do not enjoy turning on my AC this early. But your 85 degrees with high humidity leave me little choice. However, I do enjoy the lilacs you brought extra early. Our driveway smells like a dream. And now my dining room does, too. Maybe we’ll get some actual spring in April. This entry was posted in Uncategorized on 04.02.12 by awastell. Remember how we always wanted to build a secret little playhouse midst the lilac bushes in our backyard? Miss you and lilacs too. 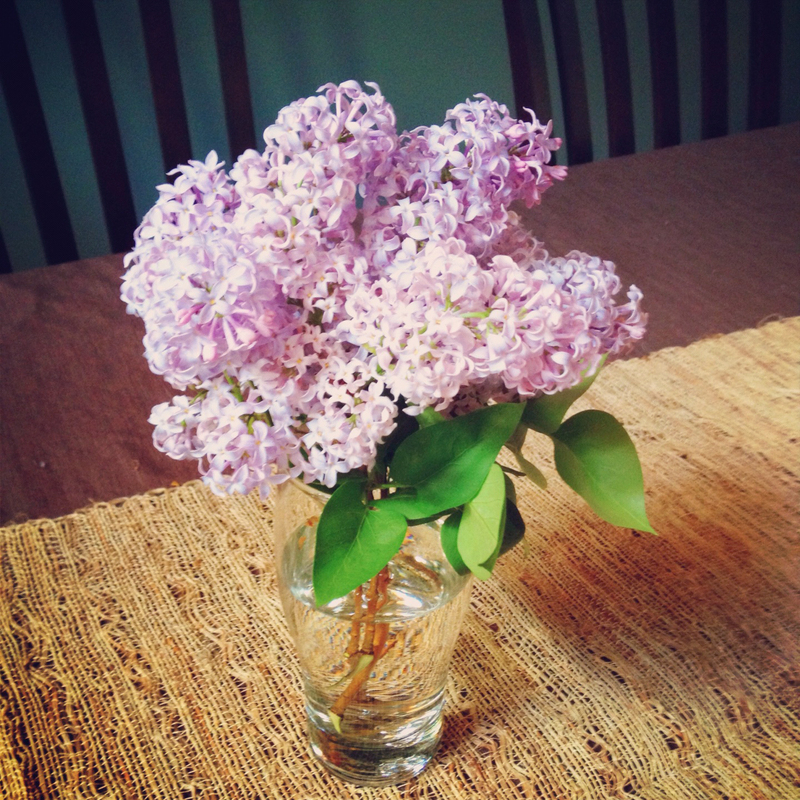 Remember the hidden playhouse we always wanted to build midst the lilacs in the backyard? Miss you and lilacs too.